Jan Bert Lieve Vertonghen is a Belgian professional footballer, born on 24 April, 1987 in the city of Sint-Niklaas in Belgium. He is a central defender who plays for Tottenham Hotspur and the Belgium national team. As a child, Vertonghen loved playing football. He spent there years of his youth career with, VK Tielrode. He also spent his junior footballing days with Germinal Beerschot and Ajax club. He also played for under 16 and under 21 Belgian national team. Vertonghen made his debut with Ajax. He was the center-back for Ajax. He played his first game at the Amsterdam Arena, where he scored a goal to put Ajax 3–0 on lead. He made his debut with Tottenham Hotspur in the year 2012. 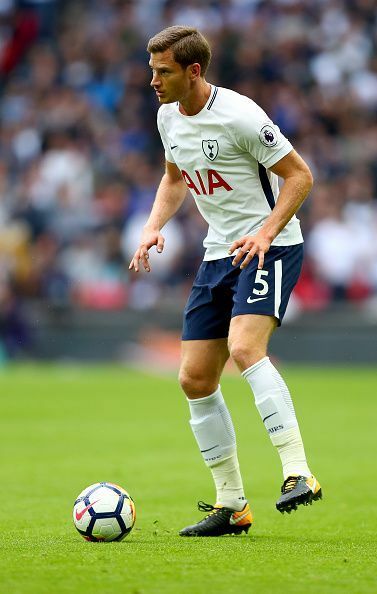 He played his first game as a Tottenham player in a 3–2 friendly win against Brentford. He scored his first goal for the club in a 3–0 win against Carlisle United. Vertonghen was featured in the Belgian national football team in the year 2007, he played his first match Portugal. He also made it to the 2008 Olympics squad. During Vertonghen service at Ajax, he was the central defense of the team, he also scored a rare brace against Vitesse in a 3–0 win. He was the AFC Ajax player of the year 2011–12. In the year 2012, he was the Dutch footballer of the year. Vertonghen then scored a brace against Liverpool. He was named Premier League Player of the Month for March 2013. He was also named in the 2012–13 PFA Team of the Year, alongside Rio Ferdinand, Leighton Baines and Pablo Zabaleta in defense. Vertonghen served the Ajax club for six years and he scored 23 goals for the club. For one the year 2006–2007 he was taken on loan by the RKC Waalwijk. Presently, he is the central defense of Tottenham Hotspur.